It’s been some time coming, but my bid to review all of Columbo’s 69 episodes is back on track. If you haven’t already done so, you can read my thoughts on 1968’s seminal Prescription: Murder here. Ace lawyer Leslie Williams has no further use for elderly husband, Paul, so she shoots him, and disposes of the body in the ocean. A wily one, Leslie has a perfect plan to side-step suspicion. Using answer machine tape audio of her husband (the first example of what would become a Columbo staple), and by fashioning a ransom note saying he’s been kidnapped, she puts her elaborate scheme into action. The FBI is called in, in the suave shape of Agent Carlson. The LAPD representative is his polar opposite: the scruffy Lieutenant Columbo, who appears in bumbling fashion having lost his pen in the dark doorway of the house. But while the FBI go through the motions, ignoring Columbo, it is the Lieutenant who starts asking questions. As an automated phone call comes in to her home, playing the message Leslie created to make her husband appear to be alive and well, and demanding a $300,000 ransom, it’s only Columbo that notices that she didn’t ask if he’s alright. That bothers him, and it’s the first sign of the cogs in his razor-sharp mind whirring into action. Once she has the ransom cash, what follows is an intricate set piece where Leslie, a skilled pilot, heads out in her light aircraft to a pre-arranged drop point over the desert. There she flings an empty bag out of the plane window, supposedly containing the ransom money, which she had already nabbed. As Leslie circles back to the airstrip, the FBI and police storm the drop site to find just the empty bag. 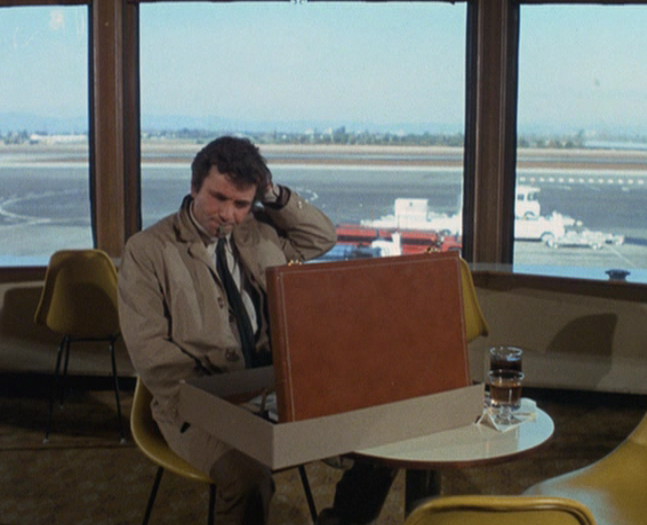 Again, only Columbo wonders why the kidnappers bothered to leave the bag behind instead of making an instant getaway. He even picks the lock of Leslie’s locker in the airport’s pilot room, but she’s already removed the evidence and stashed it in a secret compartment in her walk-in wardrobe. The next day, the body of Leslie’s husband is discovered. The news is broken to her in court prior to trial and, for the first time, she breaks down, collapsing in front of witnesses and has to be escorted out. Again, Columbo is bothered. Why lose it now when she’s been so calm and collected? Why didn’t she ask where the body was found, or how he died? Columbo’s suspicions aside, things have gone to plan for Leslie. All until Margaret – her husband’s daughter – returns home from Switzerland, that is, to act as the thorn in her side. The two despise each other and Margaret makes a scene at the funeral, slapping Leslie’s face and bellowing: “This what you wanted, isn’t it?” Columbo comforts Margaret at the cemetery. He has found a likely ally in his bid to prove Leslie’s guilt. 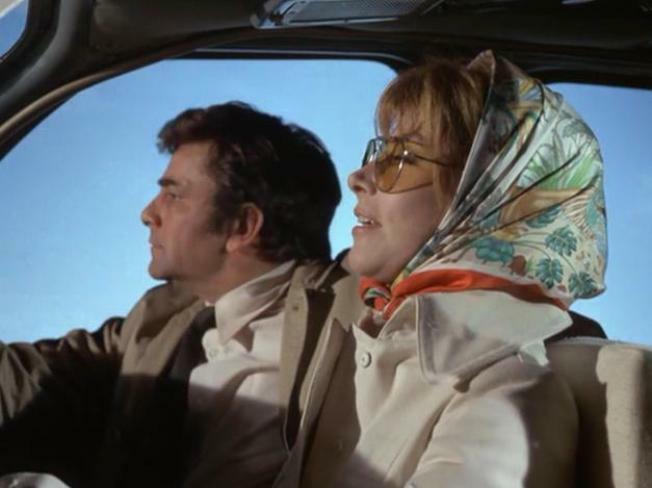 As the episode races to its conclusion, via a wonderful scene where Leslie takes the Lieutenant on a spin in her plane (much to his discomfort), it is the relationship he has forged with Margaret that gives Columbo the edge. Over a bowl of chilli at his favourite diner, Margaret reveals to Columbo that Leslie hated her father, and had used his reputation in the legal profession to springboard her own ambitions. Margaret is sure Leslie pulled the trigger, but there’s still no hard evidence. So they cook up a scheme of their own as fiendishly clever as Leslie’s was. In full-on psycho mode, Margaret terrorises Leslie in her own home, firing blanks from a gun at her, and letting her know that she knows the ransom bags were switched. Margaret will get out of Leslie’s hair and back to Europe, she says, if Leslie will pay her her $25,000 annual allowance. Leslie takes the bait. After an icy farewell at the airport with Margaret, Leslie runs into, who else, but Lieutenant Columbo. He invites her to have a drink: his tone suggesting it’s a farewell knowing she’s beaten him fair and square. 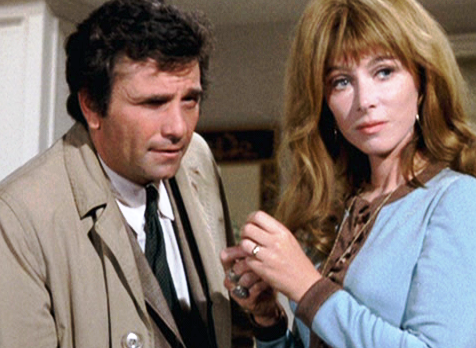 Then the coup de grace: Columbo produces the ransom money that Leslie had used to pay off Margaret. Only the killer could have the money. Ultimately, it’s Leslie’s greed, and total lack of conscience that has done her in. It’s a bit of an under-the-radar moment, but the scene in the courtroom following the revelation that Leslie’s husband’s body has been found, where the Lieutenant asserts his authority over the smarmy Agent Carlson, is a moment to treasure. The message is clear: Columbo may be small. He may be scruffy. He may be humble. But he will not be pushed around. What a difference three years makes! If you’ve read my review of Prescription: Murder, you’ll know that, while I loved the episode, I lamented that the Columbo we encounter in it is one we couldn’t love. As the ‘official’ pilot episode, the Ransom for a Dead Man Lieutenant Columbo had to be a character the audience could really dig. And, boy did they nail it. 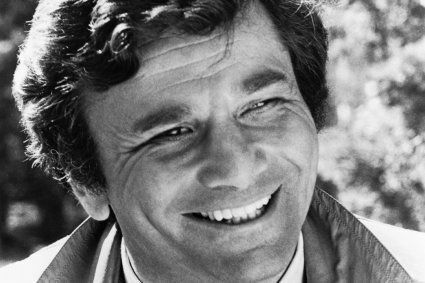 Peter Falk might not have 100% mastered the character, but he’s pretty close. It’s a terrific performance, a big step up from Prescription, full of warmth and packed with the idiosyncracies that will come to define the character. Take the scene early on, when Columbo is discussing how Leslie’s fruit-shaped soaps stick together when wet, for example. It’s the classic Columbo disarming technique in action. Falk was in the groove straight away. 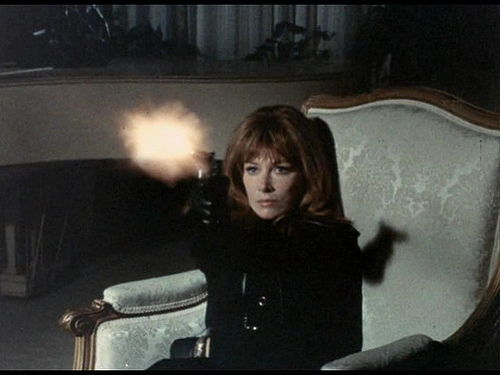 Equally importantly Lee Grant (a good friend of Falk’s) excels as Leslie Williams. Indeed, she would earn an Emmy nomination for her turn here. She’s wickedly cold, yet dangerously alluring at the same time (witness her flirtatiousness with Agent Carlson); a confident woman in a man’s world who isn’t afraid of anyone or anything. She takes calculated risks to achieve her outcomes, both professionally in court, recreationally in the air, and personally in murdering her ageing husband, and, ultimately, in paying off Margaret. And how about the episode itself? Well, in many ways it’s a big step up from Prescription: Murder. That one was an adaptation of a stage show, and it sometimes felt constrained by that. Not this time. Ransom for a Dead Man was an original story, and a big budget piece with few limits. They ramped everything up to 11, the sets, costumes, fashions – even the aerial footage of Leslie’s light aircraft. It has style and class in abundance. Ransom captures that sense of ‘how the other half live’ as well as we ever see in the show’s long lifespan. It’s a visual treat, and would be great to see on a big screen to really gain maximum enjoyment from. Some of the editing techniques and fades are very 70s, but enhance the episode’s charm rather than detract. Special praise must also go to Billy Goldenberg’s score. It’s a cinematic wonder, as good as anything gracing the silver screens of the time. He created an iconic theme, and then created variations on it, sometimes subtle, sometimes haunting, sometimes sweeping and orchestral. Heck, there’s even a muzak version at the airport. It’s great stuff and sets a standard that was perhaps equalled, but never bettered. Revel in its majesty in the clip below. So if that’s all good, what didn’t work? Well, the uber-catty Margaret / Leslie relationship seems a bit too pantomime to believe at times. In fact Margaret as a whole is quite hard to stomach. I get that she’s the wronged party, but a lot of the time I just wanted her to pipe down and get off screen. Compared to the performances of Falk and Grant, Patricia Mattick’s turn as Margaret grates, and takes some of the gloss off the episode. Some critics have savaged the ending, too, citing that someone as intelligent as Leslie would never be caught out the way she is. I don’t agree. As I alluded to above, I see Leslie as a risk taker. She calculates her odds in everything she does, and this is another example of that. Her actions are believable for her character. The issue I do have with the ending is that it’s all over in such a hurry. Ransom is long for a Columbo episode, with a 98-minute running time. They had ages to play with, yet the final wrap-up in the airport is gone in a flash. This is a shame, as it gives the viewer little opportunity to savour the gotcha, or marvel at Columbo’s stunning victory. As a result of these imperfections Ransom is, perhaps, a little less than the sum of its parts. It’s technically superior to Prescription: Murder, yet oddly less enjoyable. But credit to director Richard Irving, editor Edward Abroms and art director John Lloyd. They set out their stall to impress, and they did. The episode was a ratings hit and a critical success. A month after Ransom debuted, NBC commissioned a full series. Six months later, Season 1 would air. So while Ransom might not ultimately be one of my absolute personal favourites, it has many merits, and did its job sufficiently well to pave the way for greater things to come. Murder by the Book is one such example. The first episode of Season 1 will be the next episode under review – and I’m already looking forward to it immensely. Ransom for a Dead Man was released in cinemas around Europe, notably in the UK (in 1973) and Italy (in 1978). 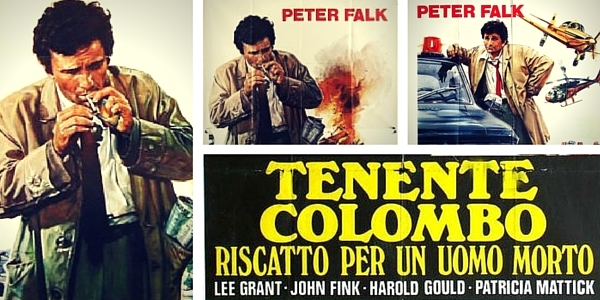 A magnificent series of film posters was produced for the Italian release (Riscatto per un uomo morto), which can sometimes be found on eBay and are well worth tracking down if you’re a collector. My own home has a good few of ’em. On a sadder note, Patricia Mattick, who played Margaret, died of cancer in December 2003, aged just 52. Ransom was just her second screen appearance. Watch the episode closely and you can see that Margaret is watching the film Double Indemnity in the house kitchen during an argument with Leslie. Double Indemnity is about a woman who kills her husband to claim an insurance payout. Nice touch! Where does Ransom rank in your list of favourites? 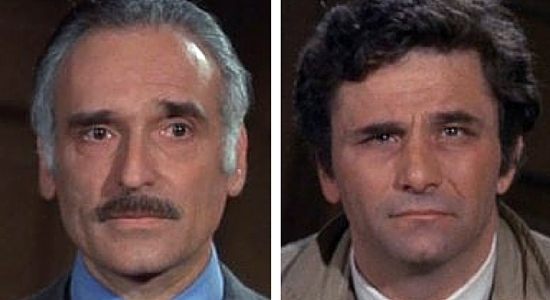 Vote for your number one episode in the Columbo best episode poll here. Thanks, as ever, for reading. I’ll be back with a review of Murder by the Book soon. Read my thoughts on the 5 best moments from Ransom for a Dead Man here. BUY THE WHOLE COLUMBO SERIES ON DVD HERE! 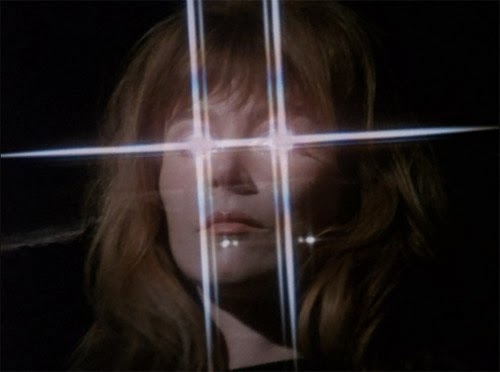 Tags: Billy Goldenberg, Dean Hargrove, Harold Gould, Lee Grant, Leslie Williams, Margaret Williams, Patricia Mattick, Peter Falk, Ransom for a Dead Man. Bookmark the permalink. Hi there! Just wondering where your release date information comes from? Combination of IMDB, Wikipedia and Mark Dawidziak’s the Columbo Phile book. Have you spotted an error? Mrs Williams wasn’t bad looking either but I’m not a huge fan of ransom for a dead man, I prefer the other pilot prescription murder as I think it has more memorable scenes better script and storyline and better clues and ending but I am not condemning Ransom for a dead man its a good episode. i love the scene as kay freestone races back to the projection booth in make me a perfect murder its the best scene from the entire 70s and what a strong episode it was and a gorgeous Colombo killer.